J H Builders provides a complete building service. We are based in Hellingly, near Hailsham in East Sussex and have been trading for over 30 years. We have recently been Highly Commended in the FMB Master Builder of the Year competition. 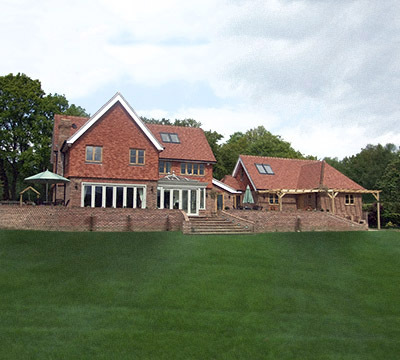 We deliver high quality results for new builds, extensions and alterations, brickwork, renovation and refurbishment, and custom joinery made in our own workshop. Please feel free to contact us on 01323 440003 to discuss your requirements.